When it comes to your favorite stamp, the stamp is only as good as the ink you use. If you are using an ink pad, consider the power and efficiency of Artline Hi-Seal Quick Dry refill inks. Artline is known as a leader in the world of stamps, markers, and other products. They consistently create stamps, pens, and ink of the highest standards in terms of quality and performance for products of incredible value for the price. 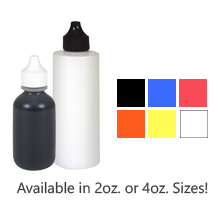 We offer a wide selection of Artline Hi-Seal Quick Dry refill inks to meet your stamping needs. These high-quality permanent quick dry refill inks are only for use with Artline Hi-Seal Industrial stamp pads. This ink is not to be used in self-inking or pre-inked stamps. Made to be long-lasting for a variety of surfaces, these Artline Hi-Seal Quick Dry refill inks are great for marking on glossy surfaces, CD's, metal, plastic, photographs, food packaging, and more! 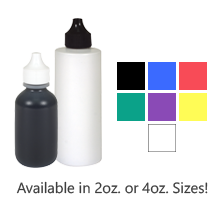 We offer these exceptional Artline Hi-Seal Quick Dry refill inks in a variety of colors to meet your needs such as black, red, blue, green, orange, and more. 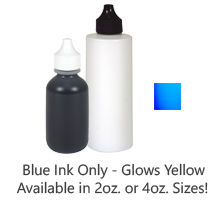 Choose from such variations as invisible UV ink for skin, industrial strength ink that is resistant to heavy solvents, waterproof ink, and more to find the ink that is right for your application. 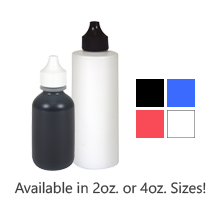 These inks are known for their incredible quality and the clean, clear impression they leave behind. With dry times varying from 10 seconds to 45 seconds, depending on the ink type, this is a product designed to give the power of stamps without the wait time of drying so you can move on to the next task quickly. Add some of these great inks to your Artline Hi-Seal Industrial stamp pads and get back to stamping! At Rubber Stamp Champ, we are committed to being your destination for all things stamps. We offer one of the most diverse inventories of leading brands, as well as affordable prices to fit your budget, to ensure you always find exactly what you need. We would be happy to assist you or answer any questions you may have.